Twinings Earl Grey tea is an English classic; wonderfully aromatic and delicate with a hint of bergamot, and as with the rest of the Kenco Singles drinks range the capsule is foil sealed in order to keep the product as fresh as possible. 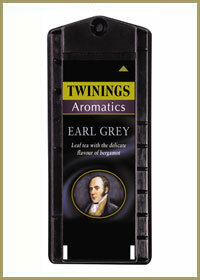 We keep stock of the Twinings Earl Grey tea capsule at all times (as indeed we do with the entire Kenco Singles drink range). It is a good drink option to offer as there are always a few people in every office that will drink this as an alternative to the wide variety of coffee options available through the system. Kenco Local Business Service can offer a speedy and efficient delivery service throughout the London region as well as to local towns such as Slough, Reading, Maidenhead and Watford. We also offer both new and refurbished Kenco Singles machines that are available to rent or to purchase and are always very competitively priced. Our in house technical team mean that we can provide a comprehensive service back up for any coffee or vending equipment that we supply.